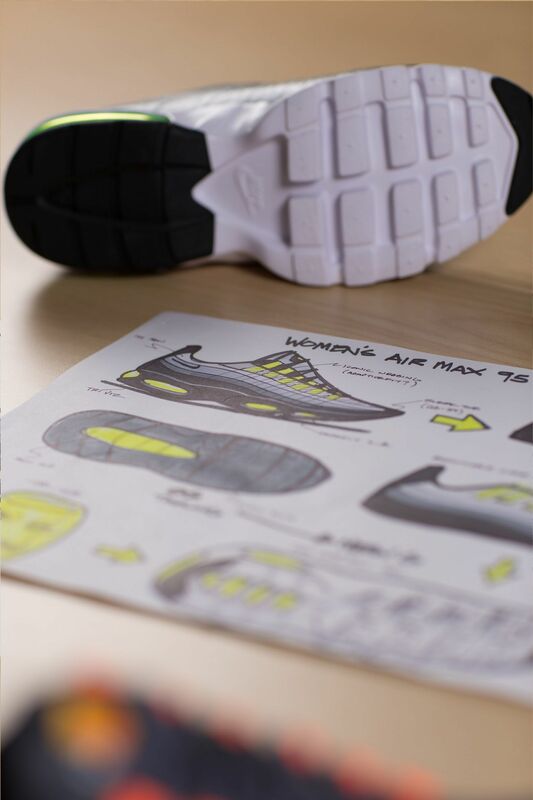 The 1995 icon that never left is refined for women with a sleeker, more breathable and ultralight design. 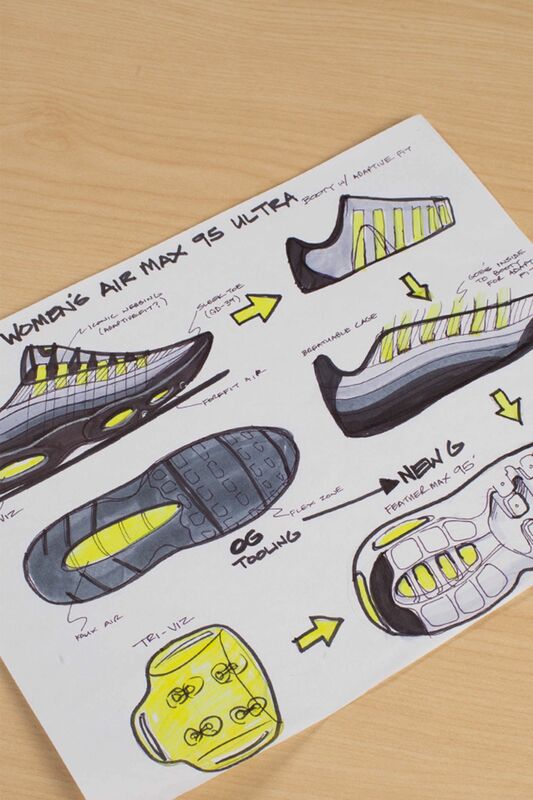 Brought to life by Nike Sportswear Design Director Dylan Raasch, the Women’s Air Max 95 Ultra was crafted from the ground up. 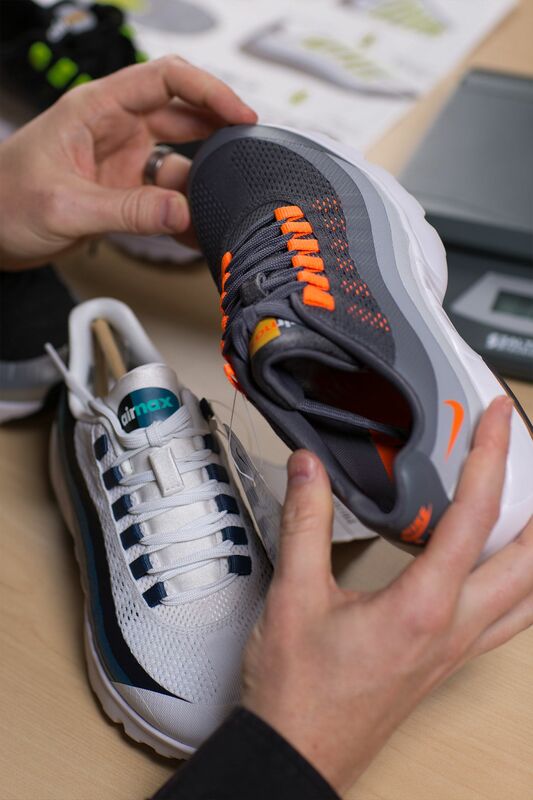 The shoe’s inspiration began with removing the 95’s iconic forefoot Max Air cushioning, allowing for a carved-out design that reduces weight and improves flexibility. The low-profile sole is covered in white, with iconic colorways flipped for a sleeker, more eye-catching appearance. 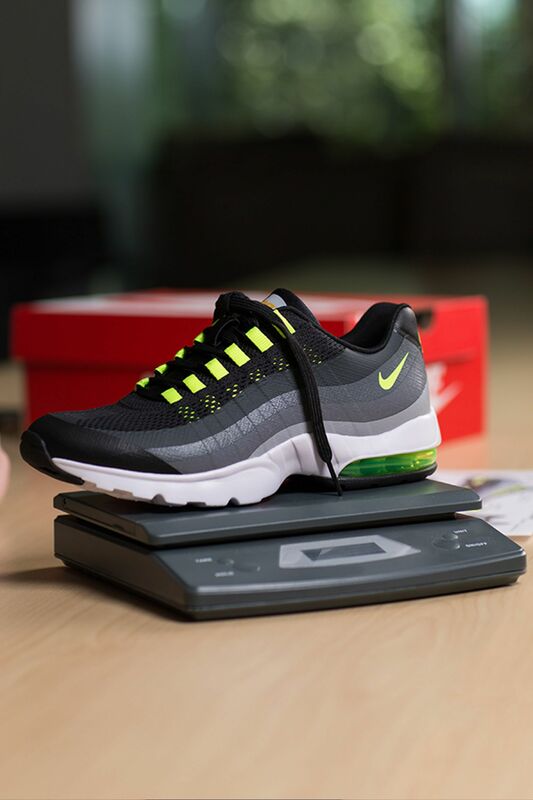 As for the shoe’s construction, a one-piece synthetic upper is bonded with the 95’s iconic mesh overlay to recreate the shoe's legendary look with greater breathability. 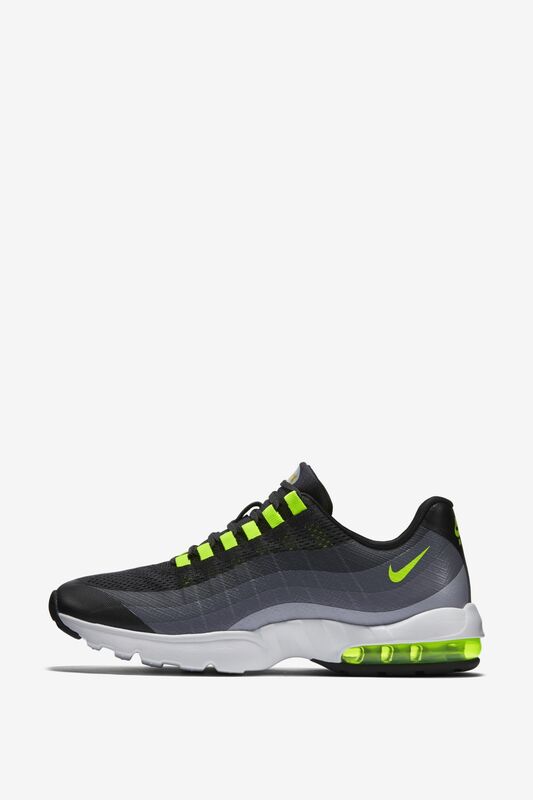 Born in 2015, but featuring iconic Air Max elements from the last two decades, the Women’s Air Max 95 Ultra extends the legendary 95 lineage in progressive fashion.